So I finished the first ball of Brooks Farm Four Play (270 yards!) on my Shredded Wheat scarf last night. Then, I started to think I could squeeze out a pair of mittens from the second ball, as well as finishing off the scarf. But if I made the scarf to just any old length, I couldn’t guarantee to have enough to make a pair of mittens. So I decided that I could do the mittens first, then use all the leftover yarn to finish off the scarf since scarf length isn’t as crucial as having enough yarn to finish off that last inch of your second mitt. So I scoured the ‘net and found a pattern for flip-top-mitts and cast on this morning. 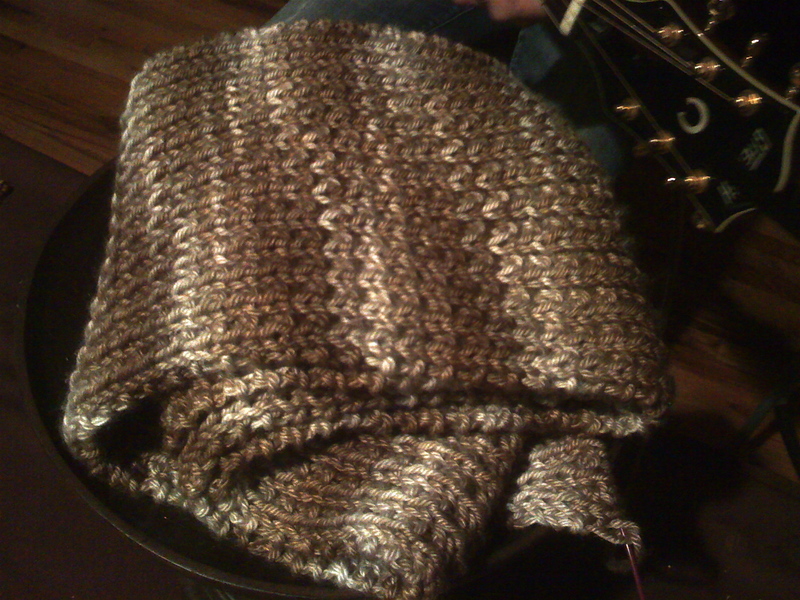 Now that I’m almost done with the cuff of the first one, I’m having second thoughts. Thoughts? 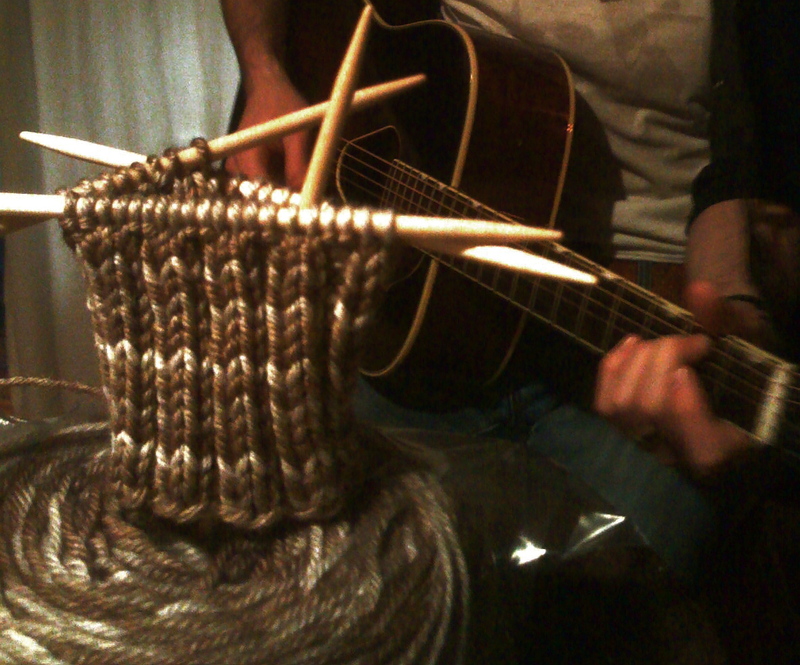 I really want to do some knitting tonight, but I just can’t make up my mind! Oh, the scarf is looking great! I think the mittens will pill. If you’re wiling to use one of those sweater shavers/pill-removers on them, that may not matter. My other question — does the wool/silk blend grow much with blocking? Would the mittens stretch out of shape? I know silk doesn’t have as much memory as wool. hmm… i think the mittens will look real pretty but, they might not hold up so well. then again your green mitt’s have been worn quite a bit, no?